Rated five out of five stars on the State of Wisconsin’s YoungStar scale. Our Janesville Learning Center and P4J provides local children with professional educators, developmentally appropriate curriculum and an environment that promotes life-long learning for children ages 2 weeks to 12 years old. Community Kids is one of Janesville’s two state-licensed centers available for second-shift workers. Care is available from 5 a.m.-11:30 p.m. Monday-Friday, with flexible scheduling to accommodate parents’ work schedules. Financial assistance is available to eligible families. Click here for our brochure. We teach educational curricula that are developmentally appropriate for your child’s age, also paying special attention to the different needs, interests, and development levels of each individual child. We value diversity at Community Kids and honor the ethnic and cultural backgrounds of all children. All Community Kids teachers are experienced, state-licensed early education professionals who understand and accept that each child is unique and has his or her own strengths. We offer flexible hours and scheduling Monday through Friday, making it easy to meet the demands of your week. Each program works hard to accommodate your family’s work or school schedule. We provide a happy, healthy, and safe environment for your child. We have consistently earned five stars on the state’s YoungStar rating system. Because we strive toward helping your child succeed, rather than maximizing profits, we’re focused on what’s very best for your child. 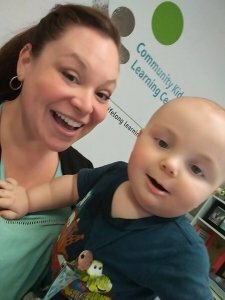 Would you like to learn more about our child care programs? Call 608- 755-2488 or send us an email.